This is a functioning lamp with three phases: external light, internal light and both with a mood setting. The backdrop is a watercolor nautical chart of the Bay Area. 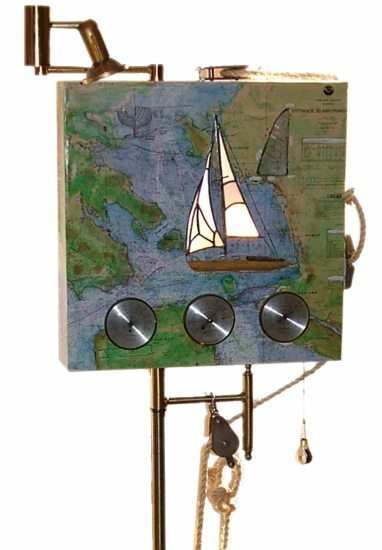 This piece houses brass gauges showing: temperature, humidity and barometric pressure. A MUST HAVE for the Nautical Person in your Life!